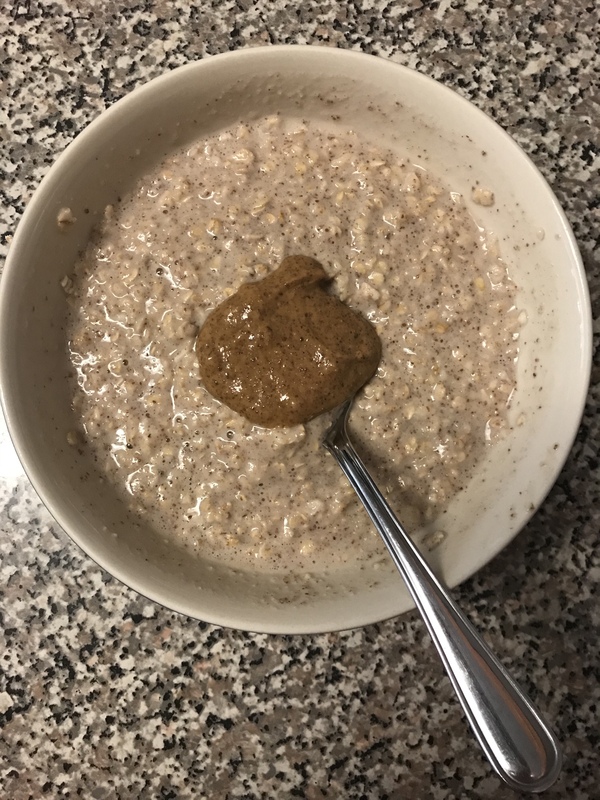 Typically, I make overnight oats, but every now and then I’ll make oats on the stove top or last minute in the microwave. 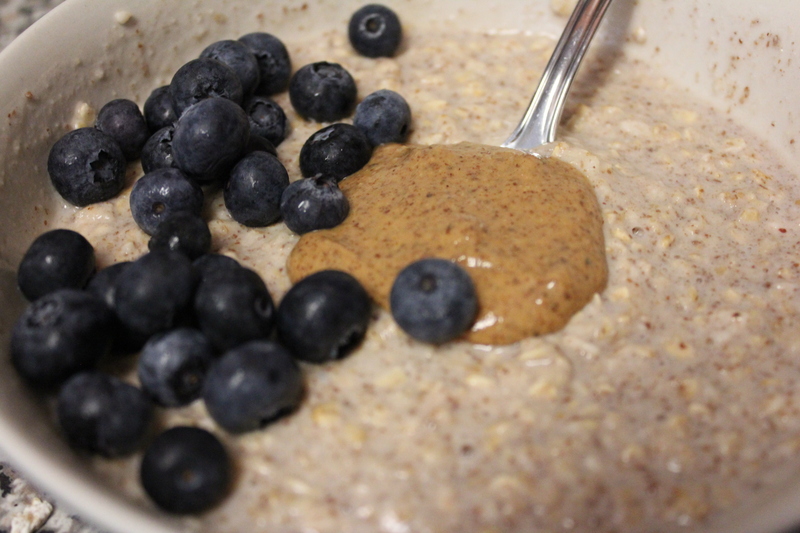 Protein oats is a meal/snack that I can enjoy at any time of the day. For just over a month, I’ve been documenting my meals in my journal without calories or macronutrients. The old school notebook has actually been proving really helpful emotionally – I think I (and many others out there) have become dependent on how the technology supports us, but can also act as a crutch for us. I’ve known for the past few years that I can make good choices with my options, but digitally tracking my days – good and bad – still prevented me from fully trusting my own ability. I’ve been eating normal portions and pretty much the same foods as before with a few new items here and there, just not being as meticulous with tracking. That being said. I mentioned recently that maintaining a healthy amount of fiber throughout the week has been a little difficult since I’m not tracking specific number. So, yes, while I eat a lot of fruits and vegetables and typically a grain a day, it can still be hard to consume a healthy amount of fiber (~14g per 1000 calories consumed). A few weeks ago, I bought Barlean’s Fiber Blend in vanilla. 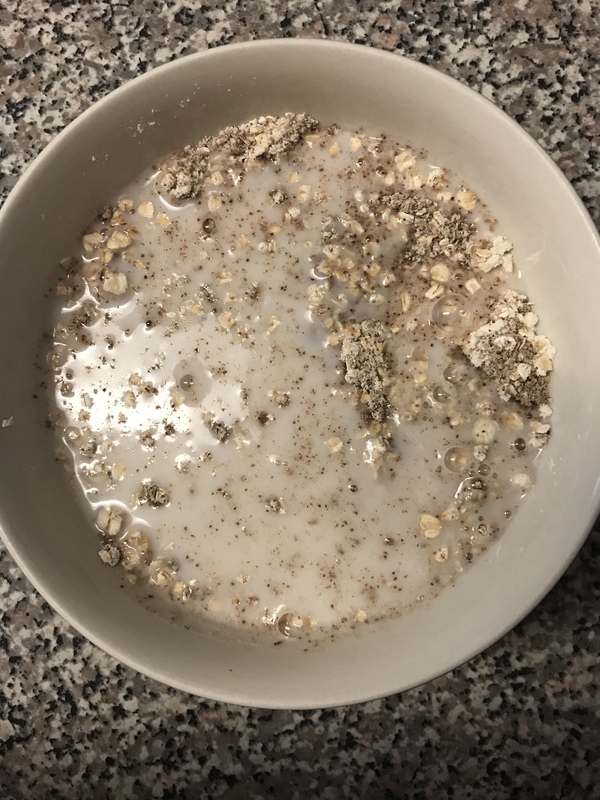 I’ve added psyllium seed husk to my oats before when I needed a bit more fiber in my day, but one thing I don’t always enjoy about psyllium is how thick and gelatinous it can make partial liquids. Digestively, psyllium can be hard on the GI tract because of how it helps with regulation. Psyllium expands in water and while it’s helpful for many, this expansion can lead to bloating, cramps, constipation. So if you have digestive conditions, psyllium may not be a good option for you, but talk to your doctor. Anyway. the Barlean’s Fiber Blend is a combination of acacia, coconut and flax. I picked this over other fiber products because it has no added sugar so the carbohydrates are strictly fiber. 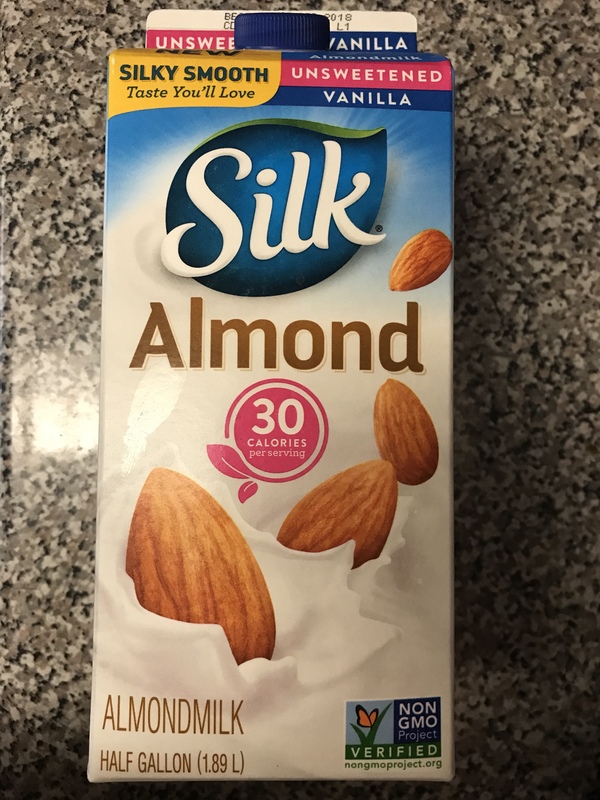 I tried it on it’s own with almond milk as well as in a protein shake – it’s not bad, also not necessarily something I enjoyed drinking. 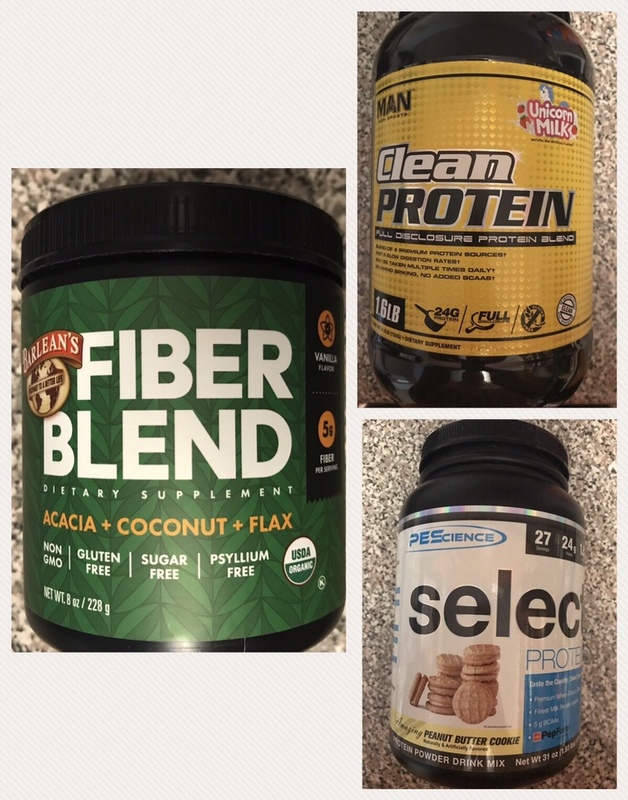 My favorite way to add it to my routine has been adding it to Kodiak mix with different ratios for pancakes and waffles and I’m working on a completely from scratch recipe too! Lately, as a post-workout meal I’ve been making protein oats and adding it there too. 1. 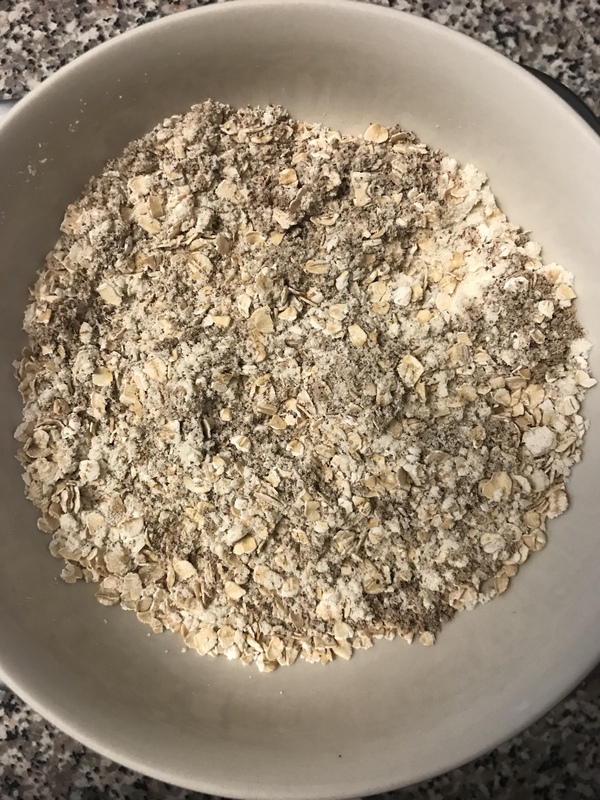 In a cereal or salad bowl, mix oats, protein and Fiber Blend. You can use any protein. I typically use PE Science for my protein oats, but have been using MAN Sports lately. Both are whey casein blends, which may be a little thicker than just a whey isolate. Mixing these together before adding milk is important so that you don’t have pockets of powder and everything is as distributed as possible. 2. Add 2/3 cup of milk to the dry mix. DON’T MIX. 3. Microwave for about a minute and a half, then stir. 4. 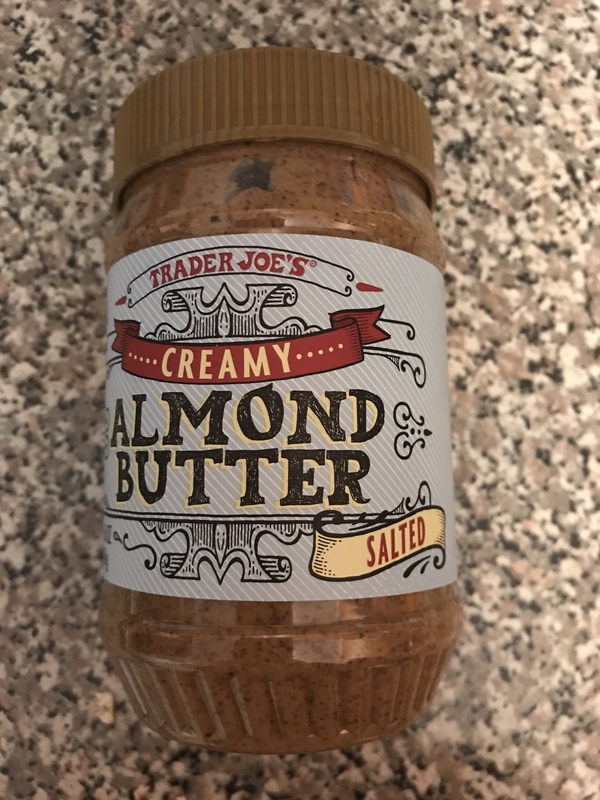 Top with nut butter or fruit or both. I typically top mine with peanut butter or almond butter.